Crossway asked me to consider applying and joining their Blog Review Program. I gladly did and was approved hence from time to time you will see or read reviews of their books on this blog. I trust and pray that these reviews will be helpful to you as you consider reading or recommending books. My reviews will focus more on books about Bible studies/devotions, spiritual growth, theology, Christian living, Christian leadership, and pastoral ministry. God’s Grace in Your Suffering by David Powlison is my first review in this program. Crossway has provided me with a complimentary copy of the book. One wise and godly man once noted that there are always three groups of people in this world. Those who are just coming out of hard times, those who are passing through hard times, and those who are about to enter into hard times. He was very right. We are all acquainted with suffering, pain, sorrow and hardship. 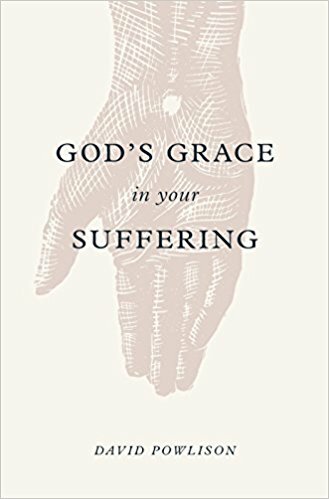 None of us is immune to it and God never promises immunity to suffering even for his own children as David Powlison rightly observes at the beginning of his book, God’s Grace in Your Suffering. Powlison ably answers these questions by taking the reader through the verses of that famous hymn which is a favorite to many Christians, “How Firm the Foundation.” As he makes his way through the hymn Powlison also shares his personal experiences of how the truths of the hymn have positively impacted him. Although most words of the hymn are direct quotes from the Scriptures, the book could have failed miserably if it focused on the hymn alone. But I am thankful that Powlison takes us beyond the hymn to the Bible itself and to the Christ of the Bible as the true source of encouragement and comfort in our trials. Another recommendable thing about God’s Grace in Your Suffering is that it is very practical. Powlison has endeavored to accomplish this by engaging the reader and asking probing questions that enables the reader to apply the truths of Scripture to his own situation. True to its own assertion, this book is a workshop of an afflicted soul. I think I would be right to say that when passing through hard times one has no time for jargons or hard reading and would greatly appreciate a book that hammers the nail right on its head. Powlison has also managed to do just that in this book. God’s Grace in Your Suffering is an easy reading yet full of profound truths hewn from the ever-trustworthy word of God. Once again, thank you very much for reading and following the blog. 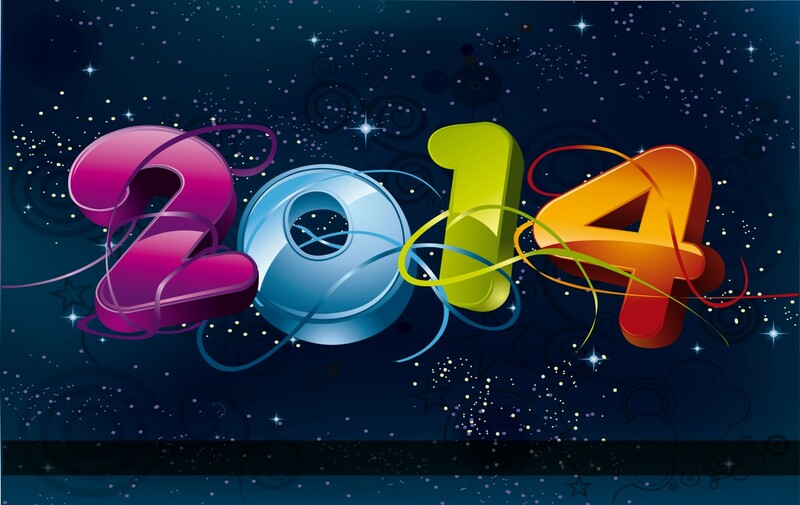 May you have a Blessed 2014 and may Christ and His Word richly dwell in you. One thing I know for sure is that God cannot be defended by you and me. He is capable of defending himself and he can do it better than any of us. However, at times God uses people like you and me. Believe you me, there are times when God calls us to “Contended for the faith that was once for all delivered to the saints” (Jude 3). This realization has led me to believe that there ought to be a thin line dividing these two truths. My prayer is that God will always open my eyes to discern the battles he is calling me to fight and those fights I ought to leave to Him alone. Believe you me, this will never be an easy task but I know His grace will always be sufficient. I also pray that God will grant me the grace to march to the battle he has called me to fight even though my fellow soldiers in the Christian Army stand aloof and are hesitant to march on. Believe you me, not every Christian will be convinced and convicted to fight all the battles that God calls you to fight. There are various reasons for that. R.C. Sproul points out one. So whatever the reason that other Christians might have to avoid some battles, but if God has called me to fight that battle, I pray that His grace should always go with me. May I always be comforted in the fact that I am not alone rather He is with me as I fight. Another thing I always pray for when I am on duty as a Christian soldier is to fight graciously out of love. I think that’s what differentiates the Christian army from any other army in the world. The aim of our fight is love for God and love for fellow man and because of this goal we battle graciously. I know sometimes when my fallen human nature rules, I end up fighting brutally; however, I always beseech the Lord that I should fight with grace. Of course, the other camp might hardly appreciate the grace in my strategy of the battle; however, if God approves that there is grace in my fight, then all is well with my soul. Last but not least, I pray that God will give the courage to fight on when fellow Christian soldiers stand in my way. You know, it is one thing to have fellow Christian soldiers hesitating to join you in the fight and it is totally another thing to have fellow Christian soldiers standing in your way as you fight. Sometimes it even gets worse because the fellow soldier s turn their guns on you and fire. It’s really sad, very sad! In such cases, I pray that I will not be bitter but I will appreciate the truth as William Cowper once observed that “God moves in a mysterious way, His wonders to perform.” I pray that I should be able to say as Joseph said “You meant it for evil, but God meant it for God” (Genesis 50:20). Believe you me, not all Christians will hear the trumpet when God calls you to fight. There will be some who will think you are crazy and they will even shoot at you. Please pray for a forgiving heart and remain faithful to the Master as you onward march to the battlefield. We haveChrist’s own promise, and that cannot fail. My theology professor in Bible college used to emphasize that when God created man, he gave him three major mandates: work, marriage, and rest. Man has to work. Man has to get married and by His grace raise a family. He has also to rest. All of us are supposed to work for six days and rest on the seventh day (Sabbath). But there are times when the rest on the seventh day is not enough hence we require a special vacation of longer period. For me, for this year, time has come to go on vacation. As the summer unleashes it’s heat on our land, I will take time to reflect, refresh, evaluate and reposition myself in His vineyard hence there will be silence on this blog for this period. So, don’t wonder at the silence. It’s just time to rest and take my hands of the pen and nothing else. By His grace and will, I will return again. Till then, may His grace be sufficient for us all, now and always.